P.E.Abbott & J.M.A. 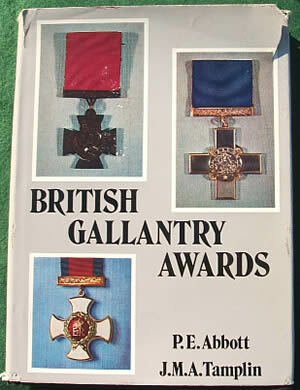 Tamplin, British Gallantry Awards (1971), 359pp, illustrations throughout, black cloth, dustjacket. Sound condition, minor tears to dustjacket.